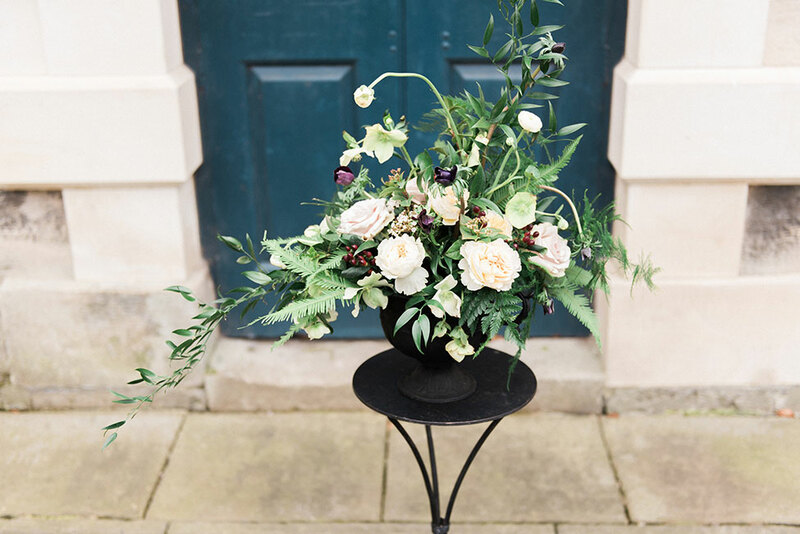 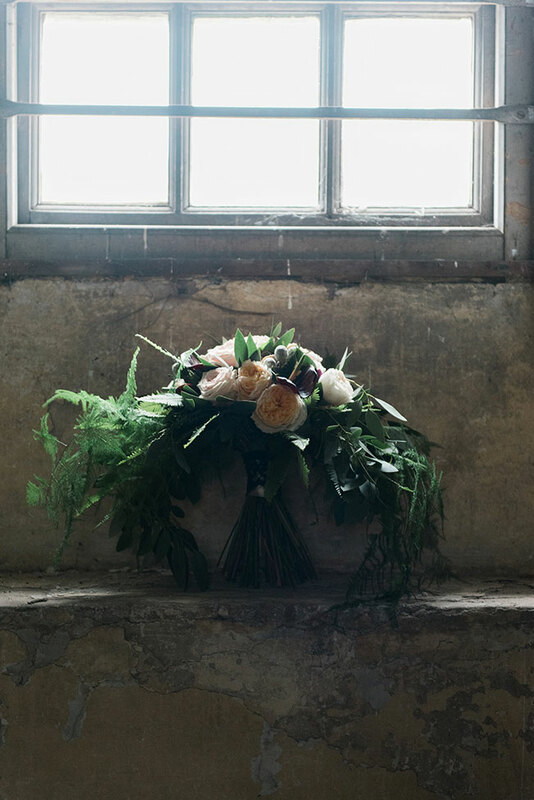 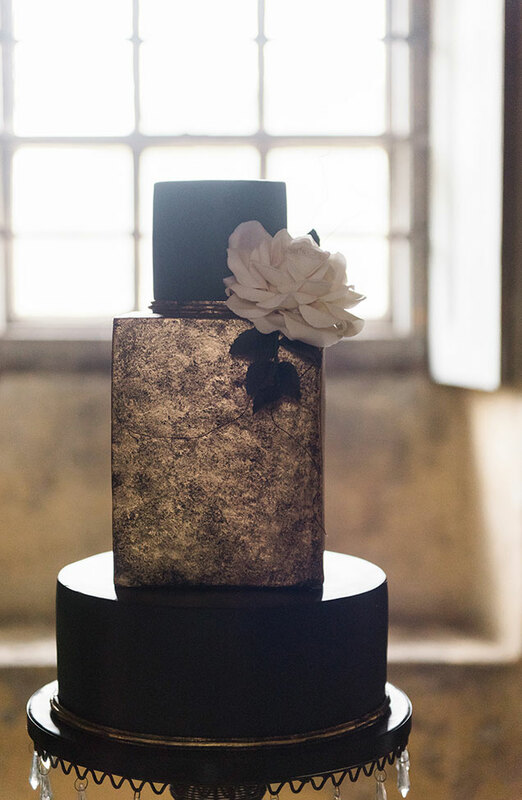 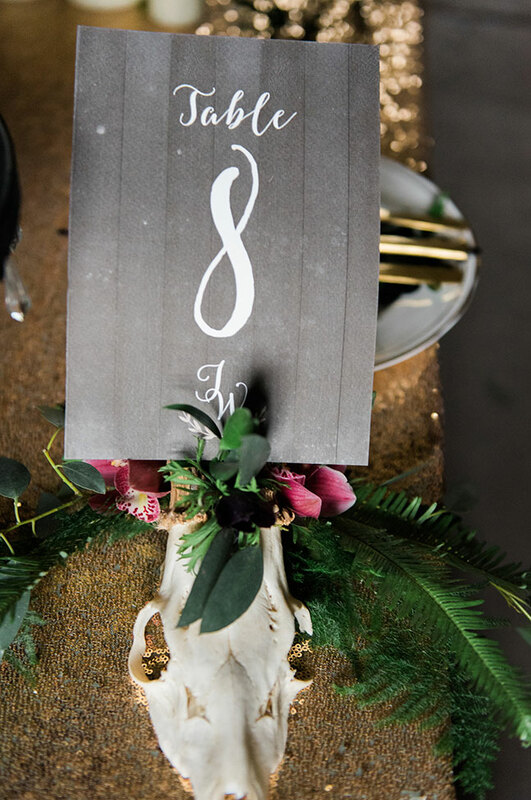 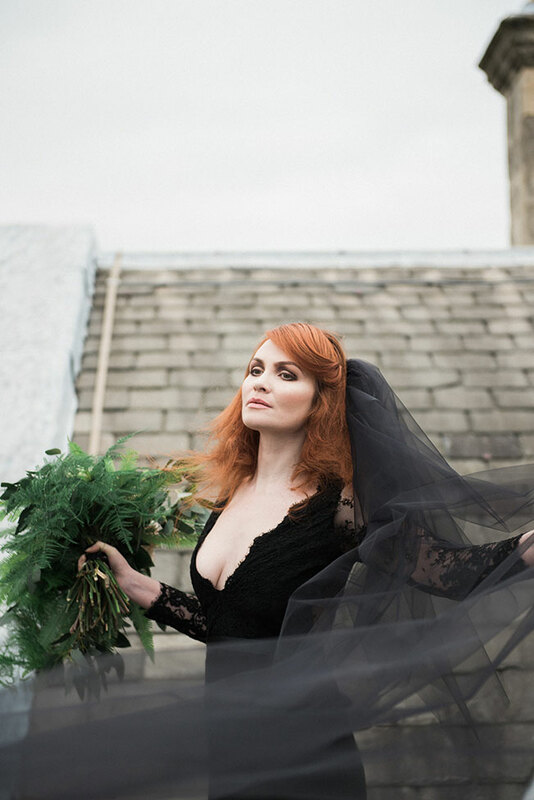 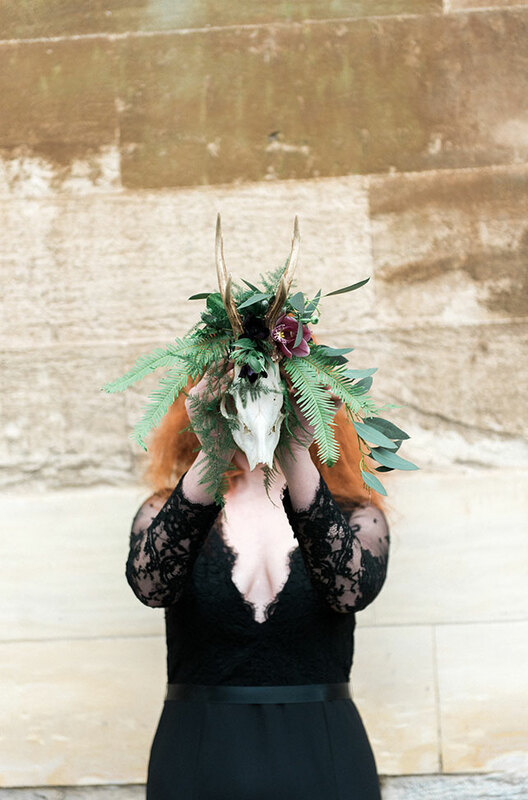 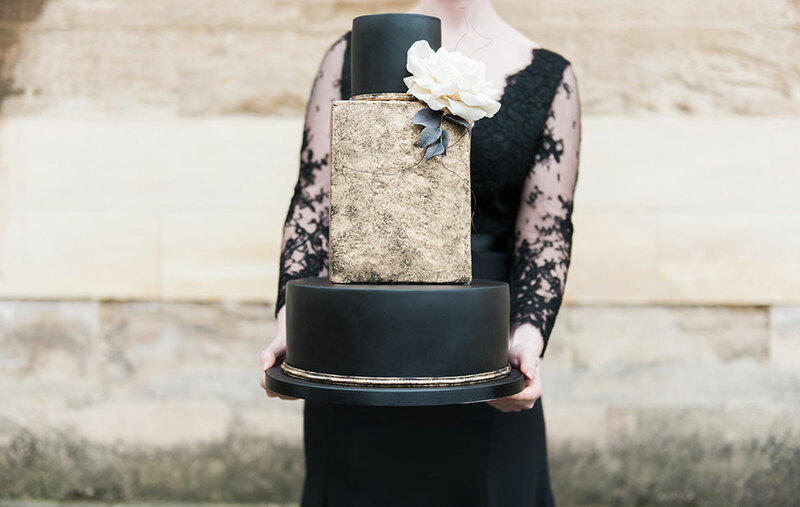 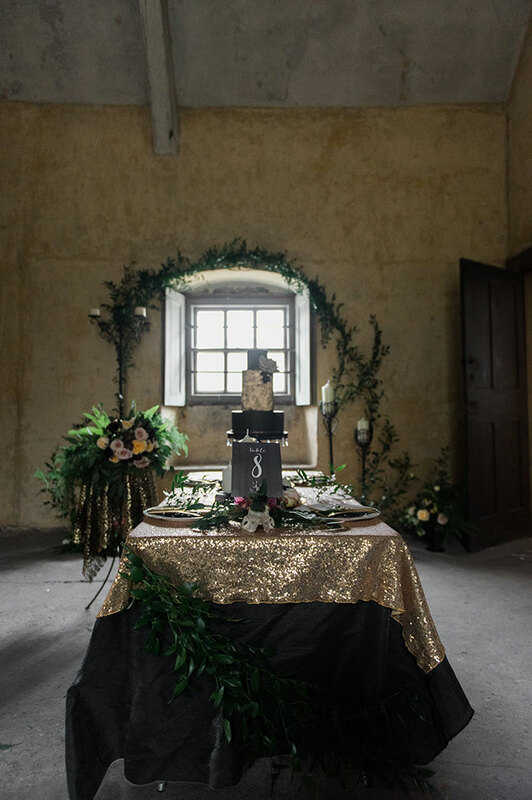 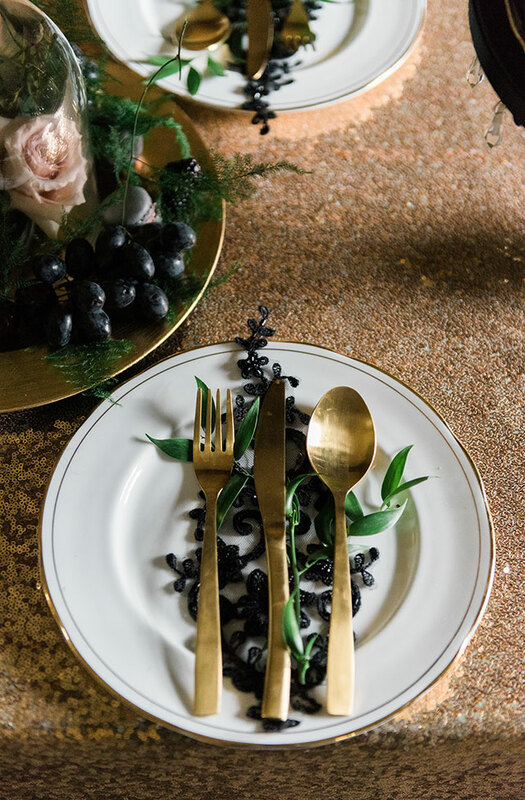 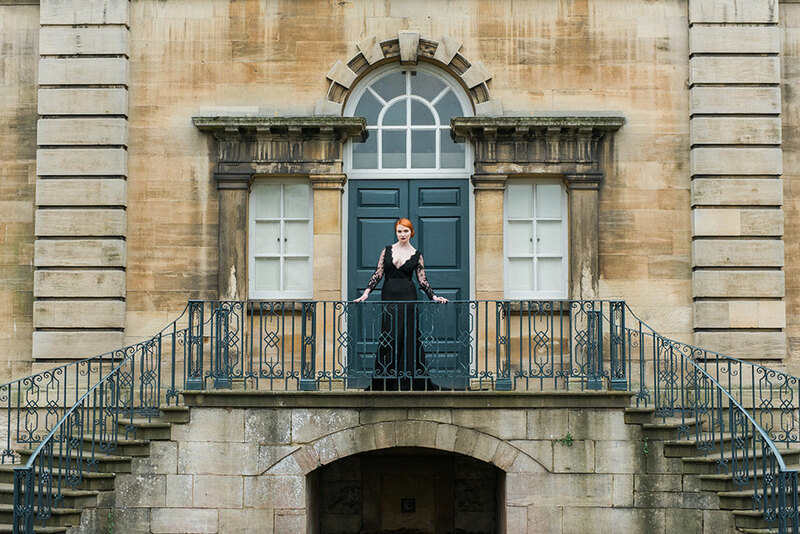 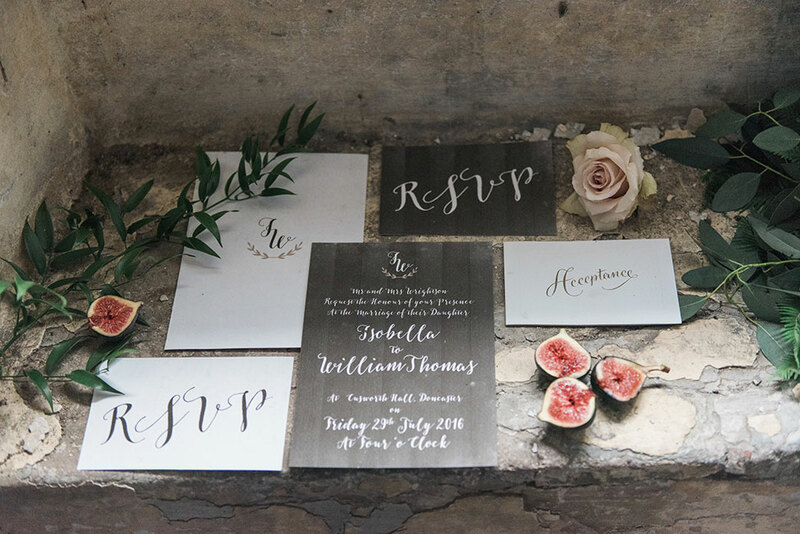 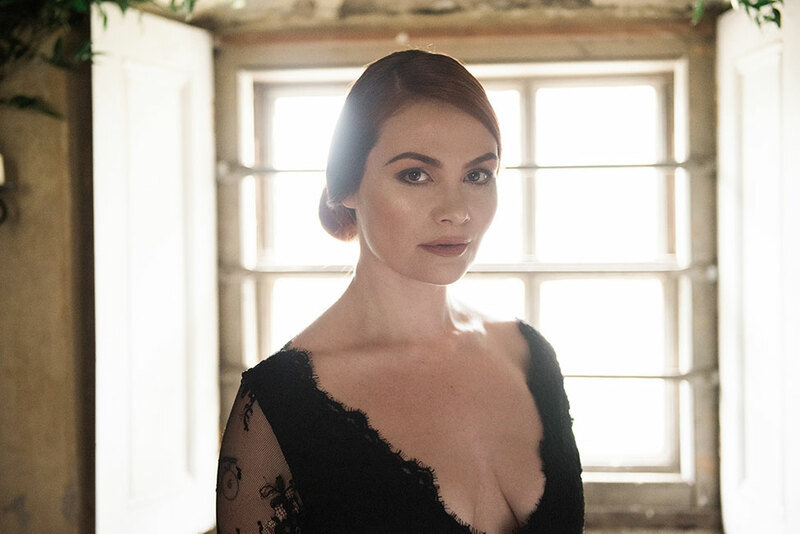 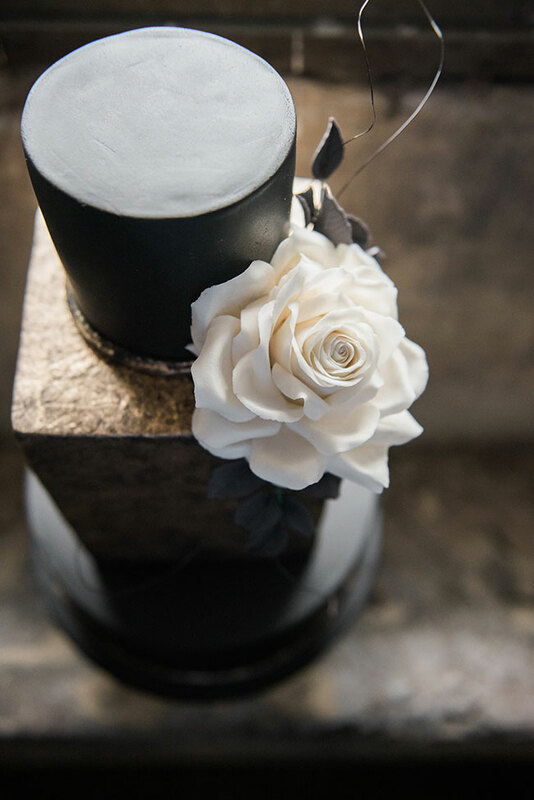 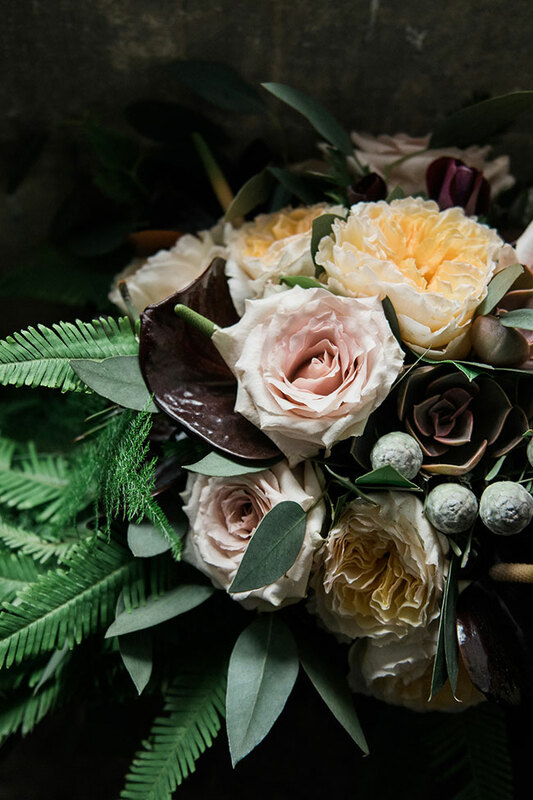 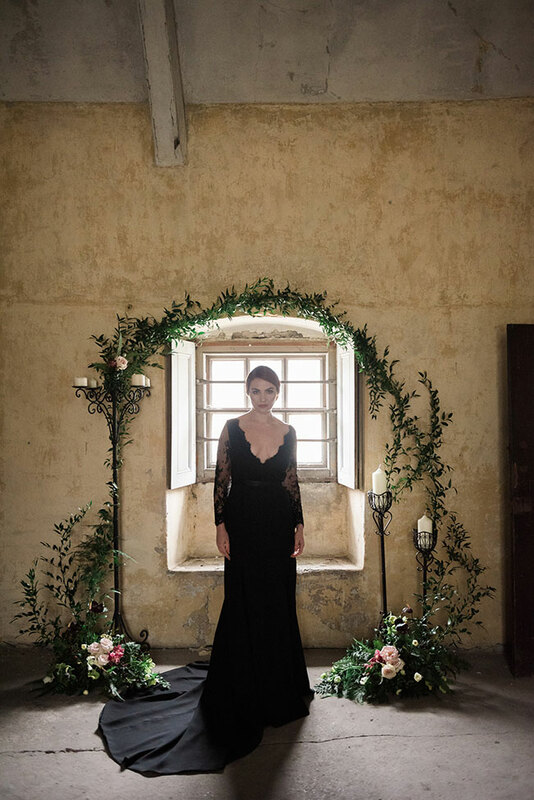 Craving something beyond a traditional white wedding, a team of UK wedding pros put together gorgeously chic Gothic wedding inspiration that will have you aching for a fashion forward affair! 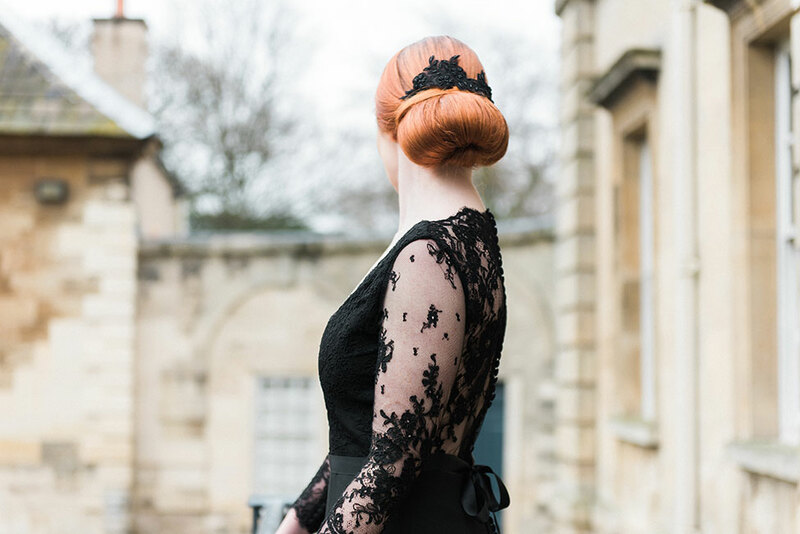 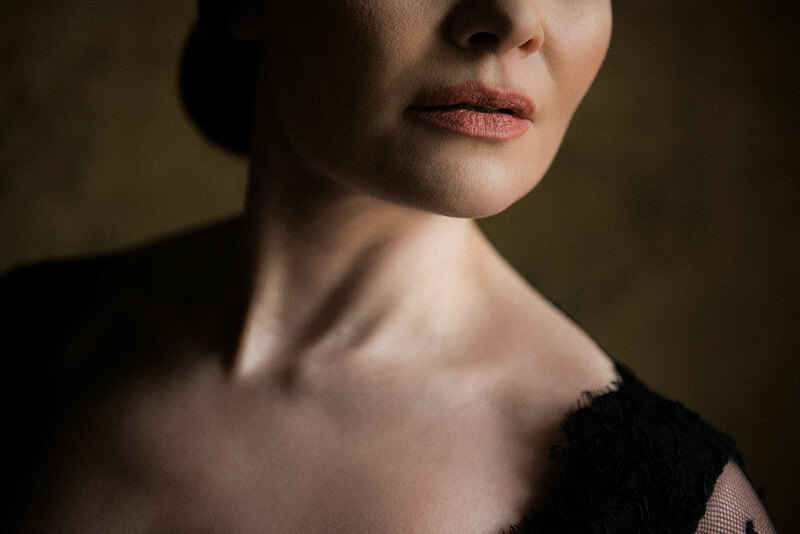 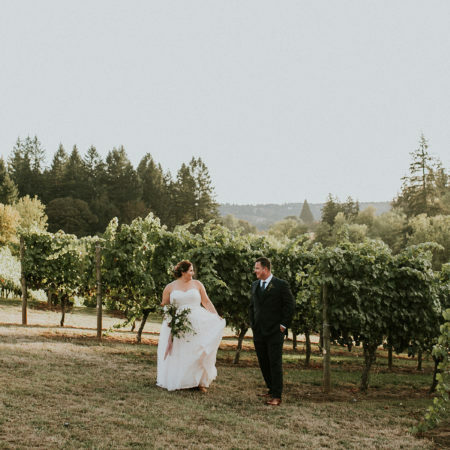 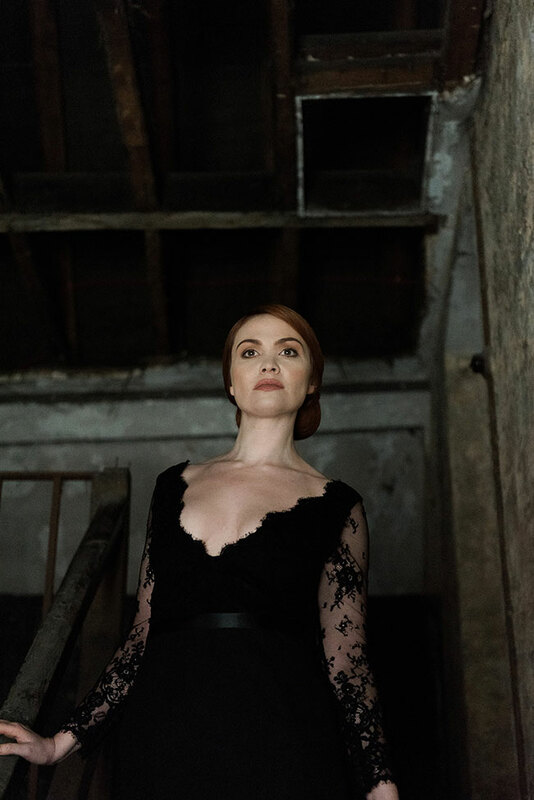 Centered around a dreamy custom black wedding dress from KMR Bespoke Bridal that featured a trumpet skirt and lace back, the overall bridal style was nothing short of Gothic refinement. 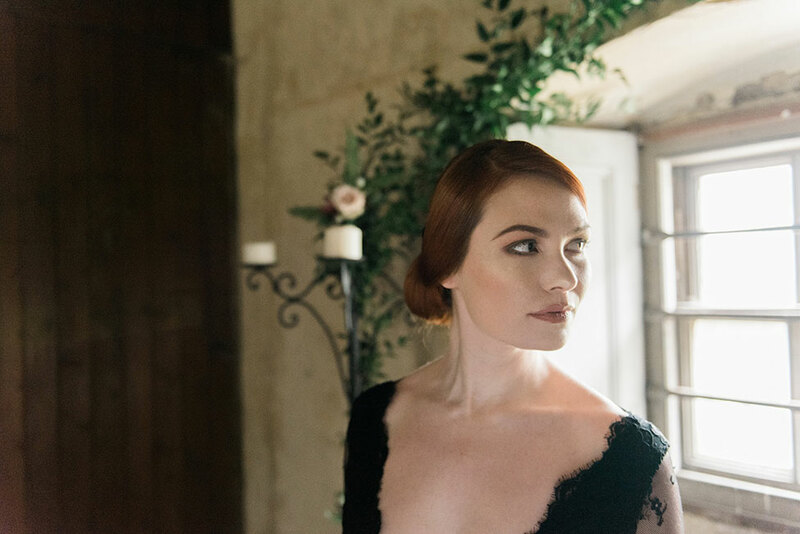 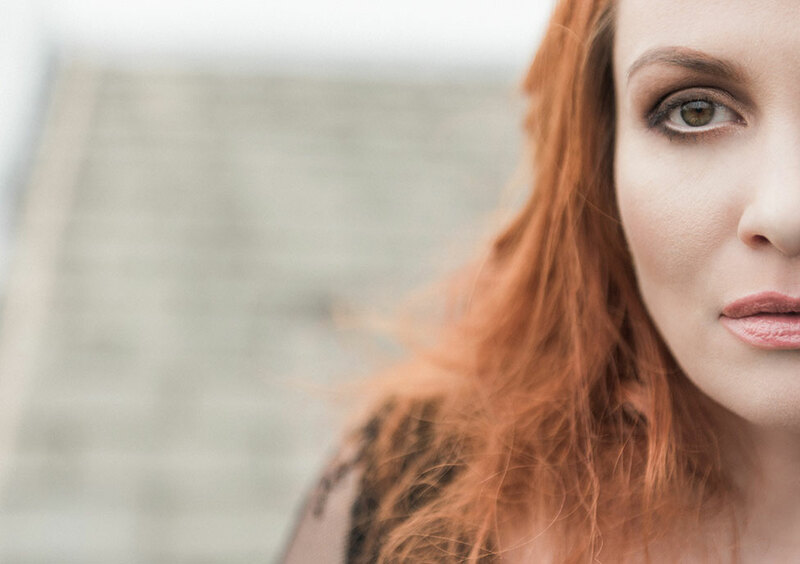 Vibrant carrot hued hair was swept up into a polished low do by Wedding Hair by Hannah, while lace detailed veils were draped over perfect lips by Sarah Gray Make Up. 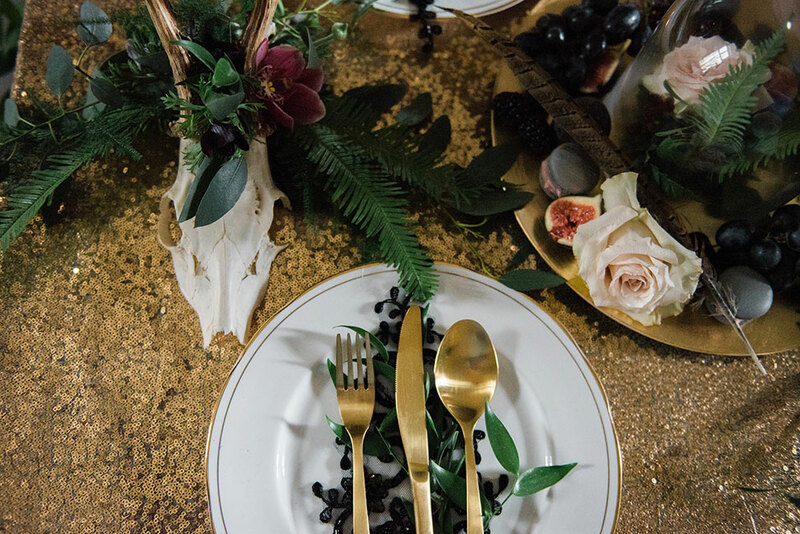 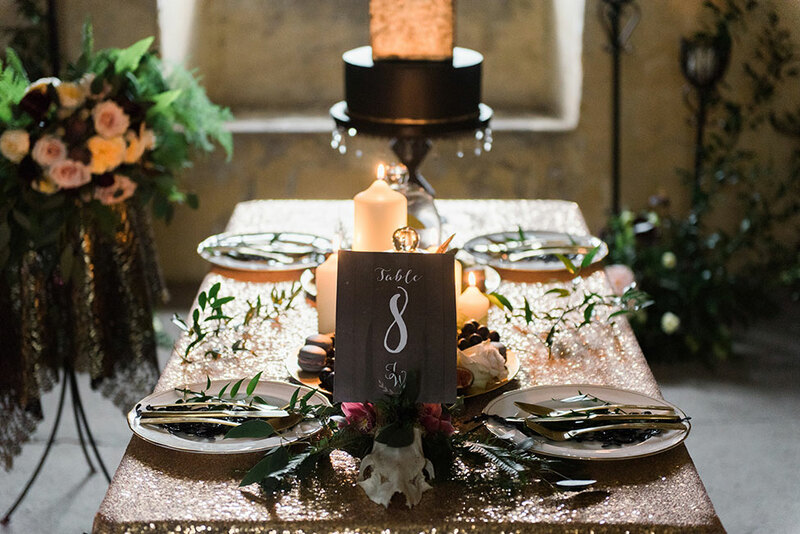 A metallic infused tablescape was set, featuring gold flatware, a sequin table cloth and candles which cast a reflective glow overall. 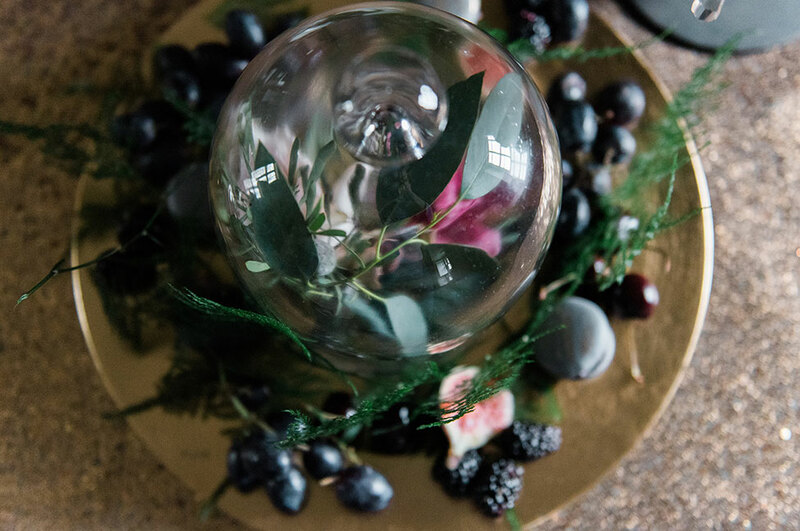 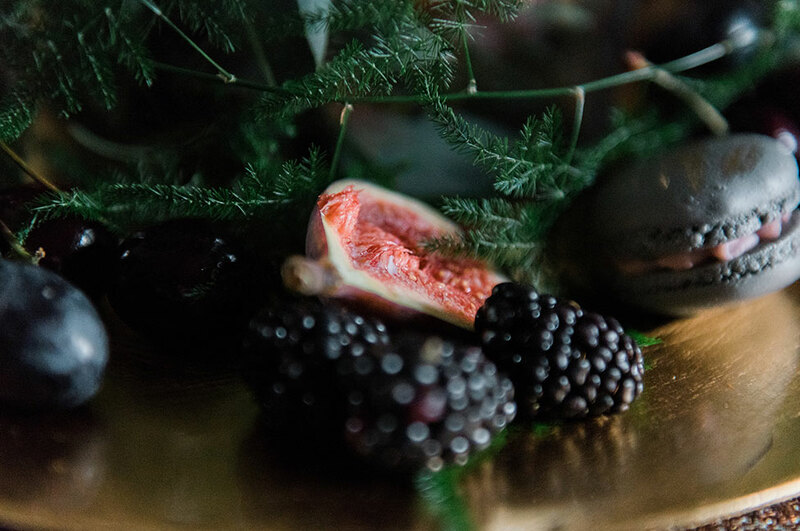 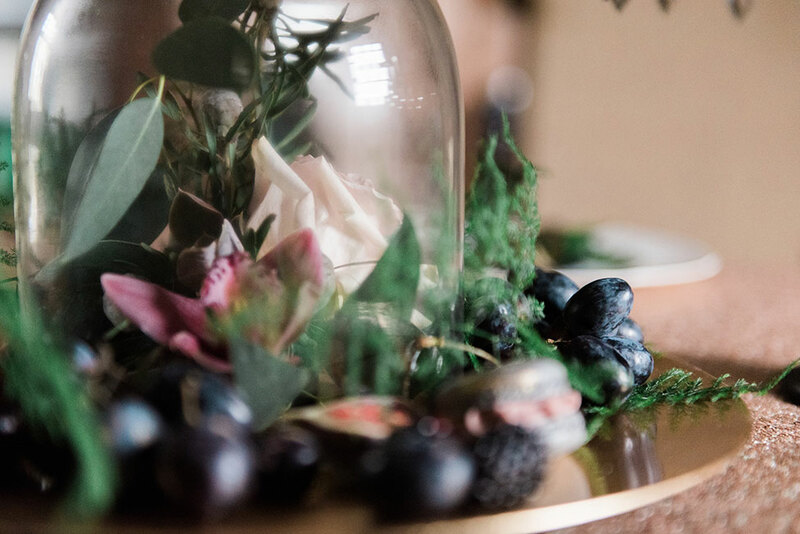 Bell jar centerpieces dotted the table line filled with rustic florals, figs and dark fruit, all crafted by Paeony Floral Design. 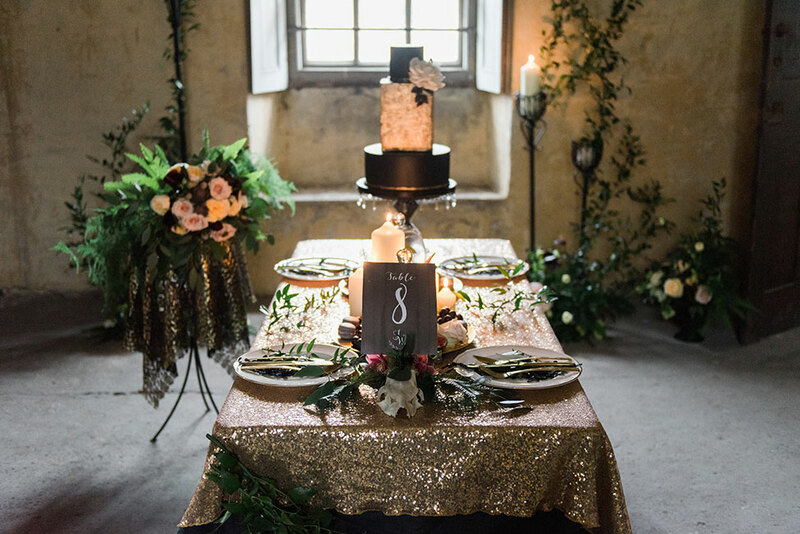 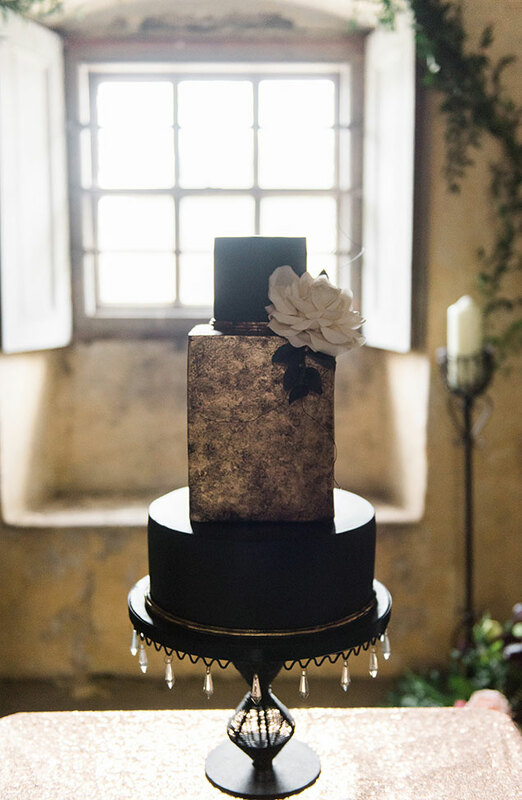 Set atop the table, keeping a watchful eye in the glow of the candle light was a three tier wedding cake from Snowdrop Cakery with the most deliciously gold patina layer we’ve seen! 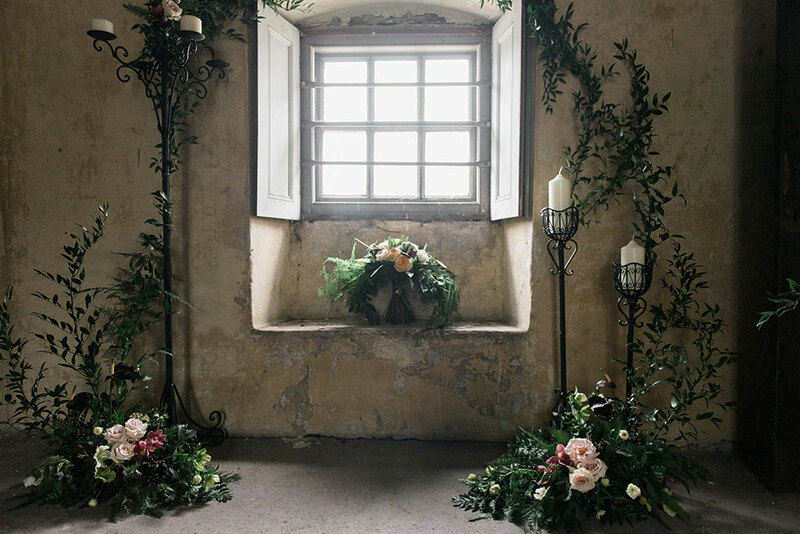 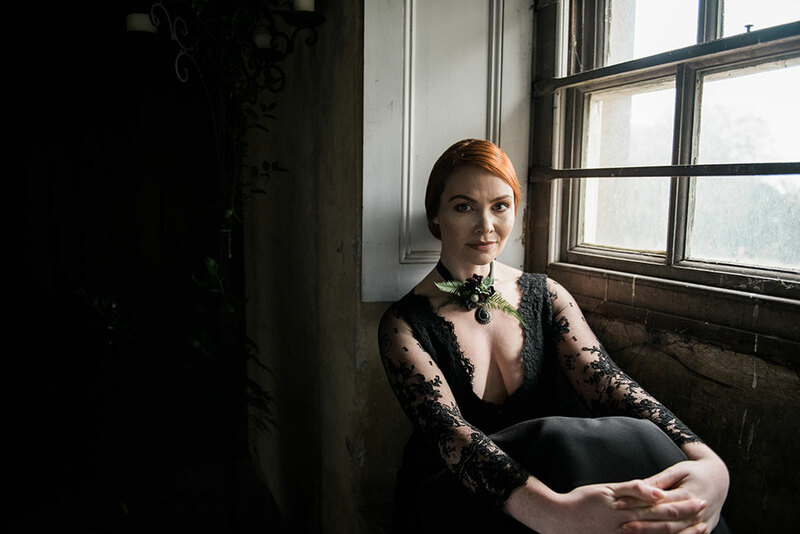 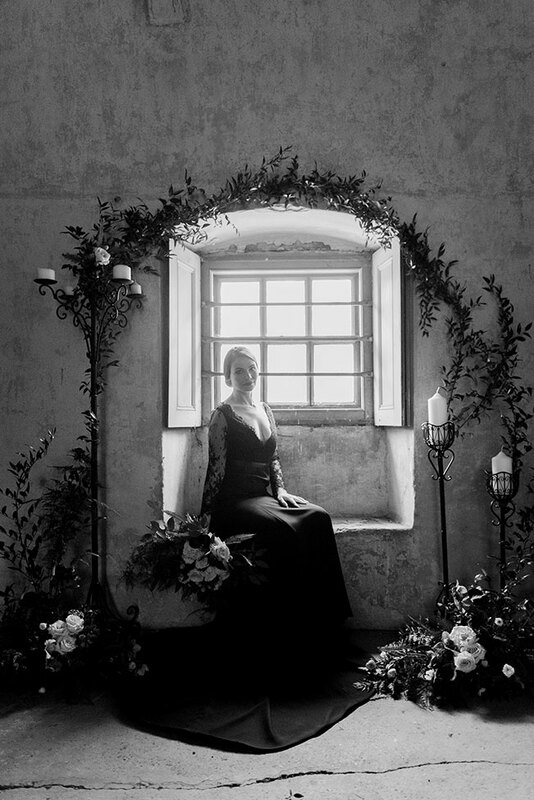 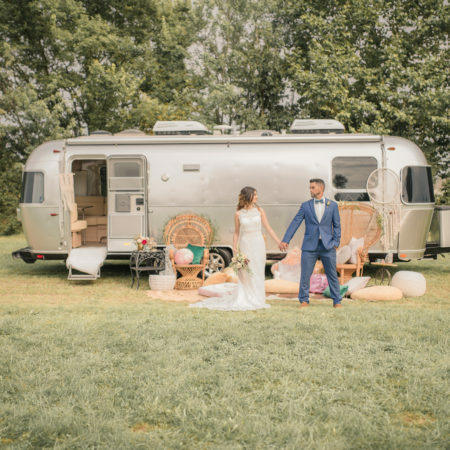 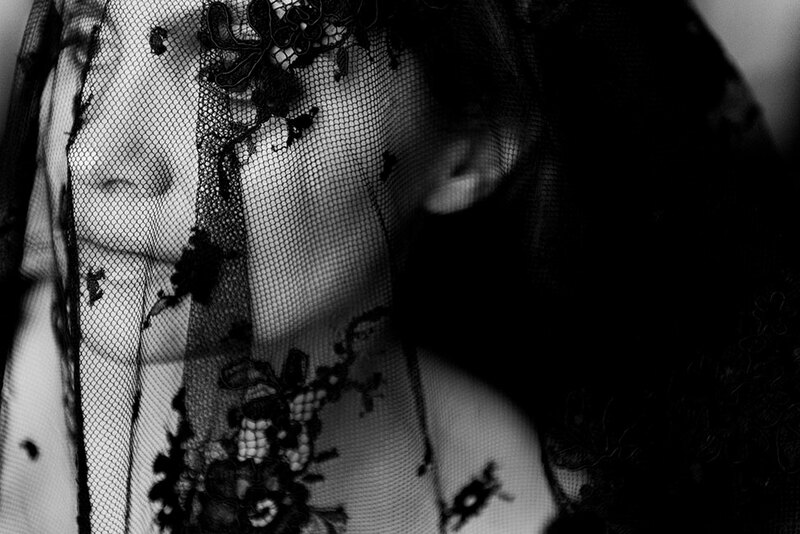 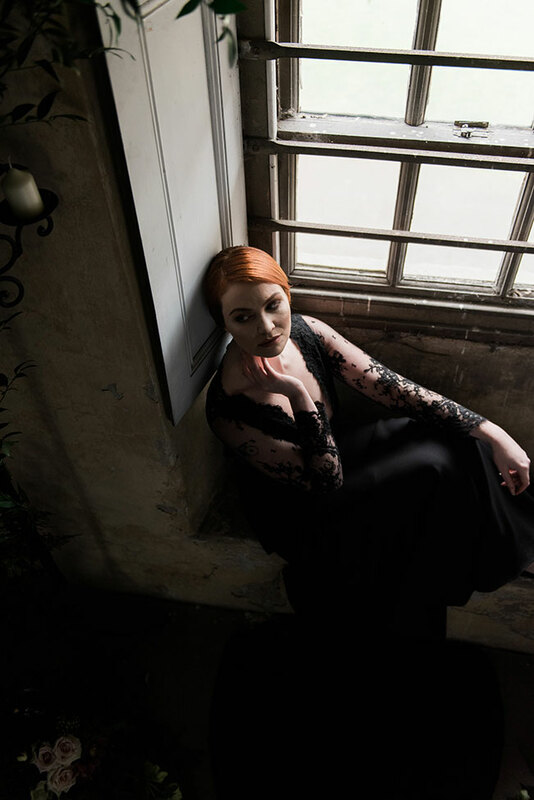 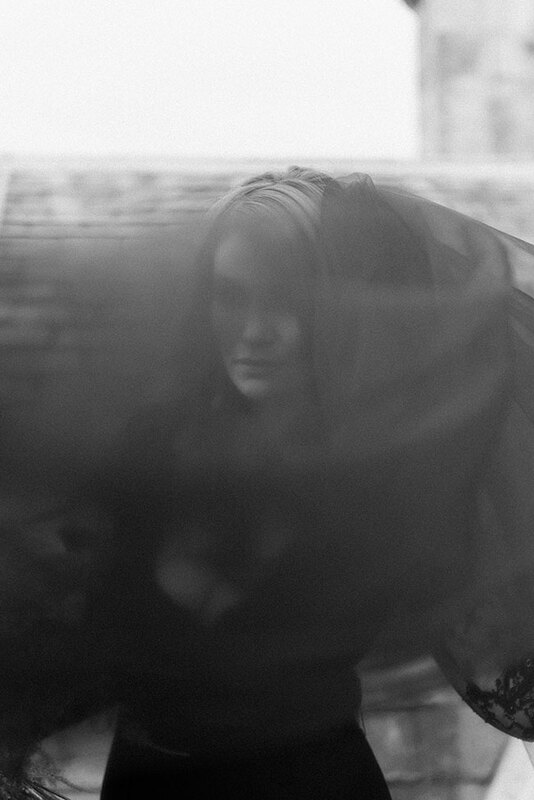 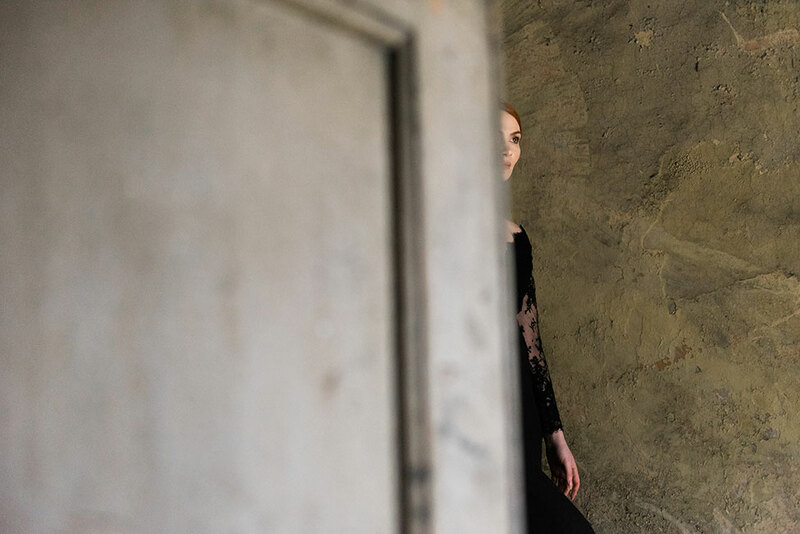 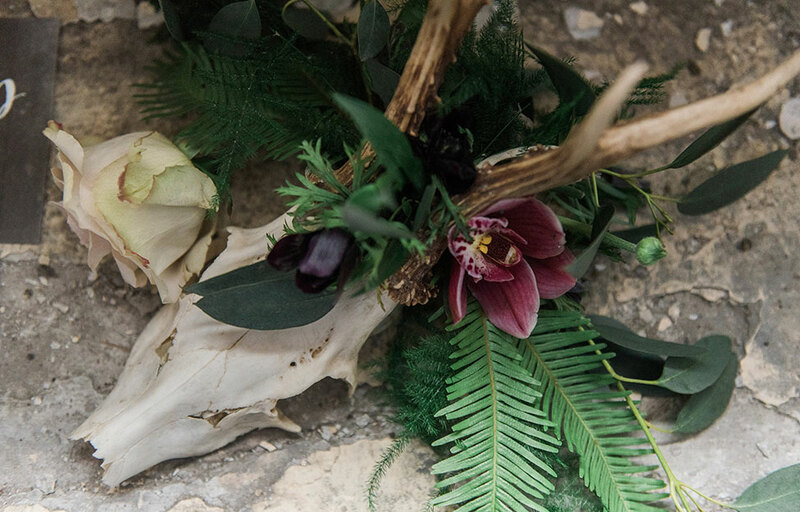 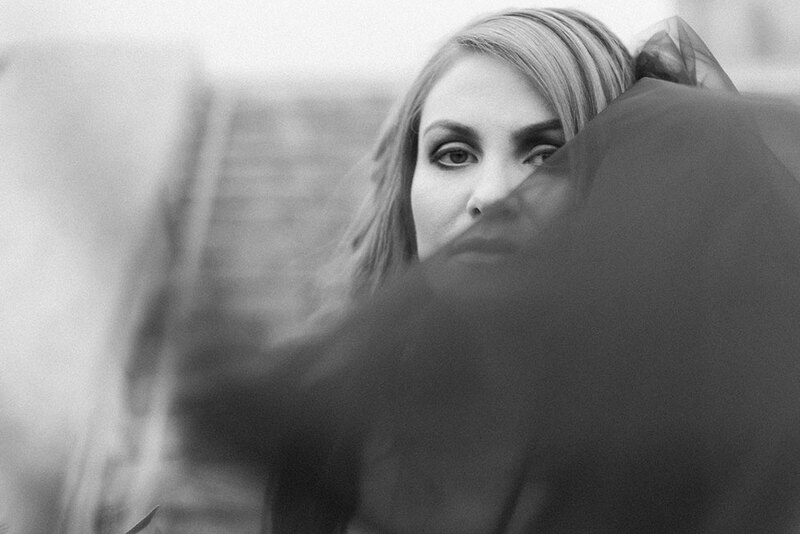 The styling is only one piece to the success of this gothic wedding, the other is in the artistry that is Folega Photography, transcending far beyond simple wedding photography and right into fashion art. 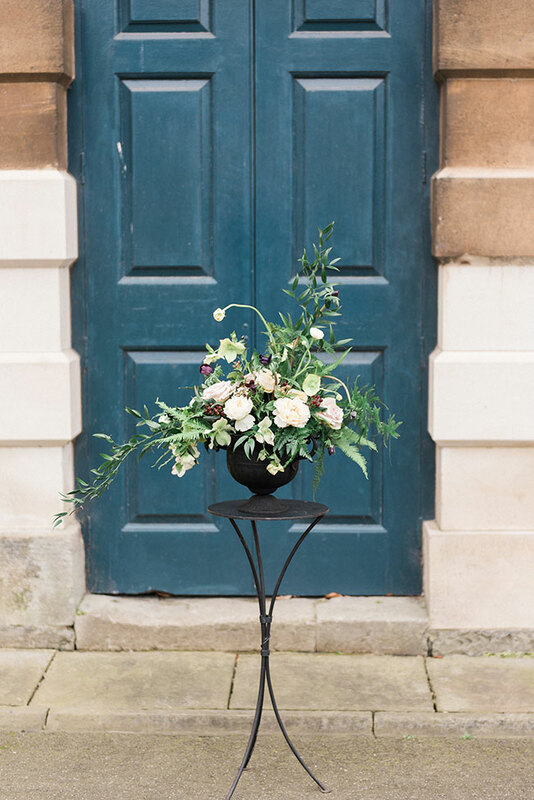 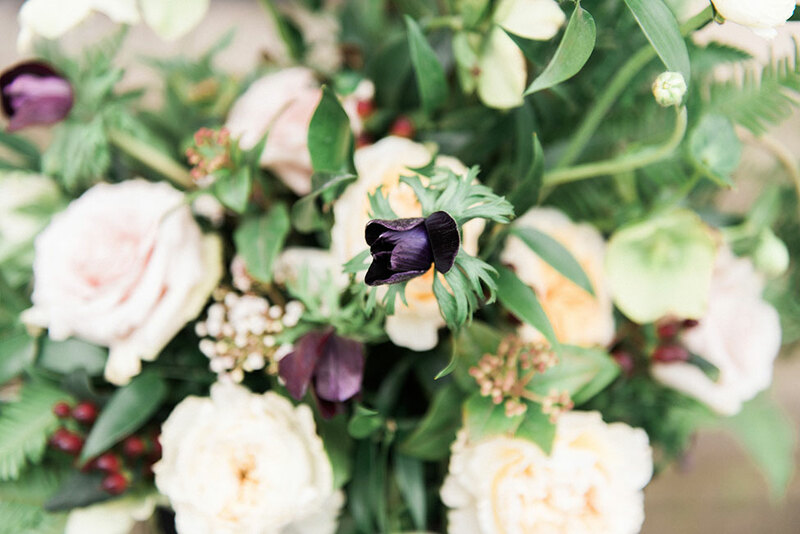 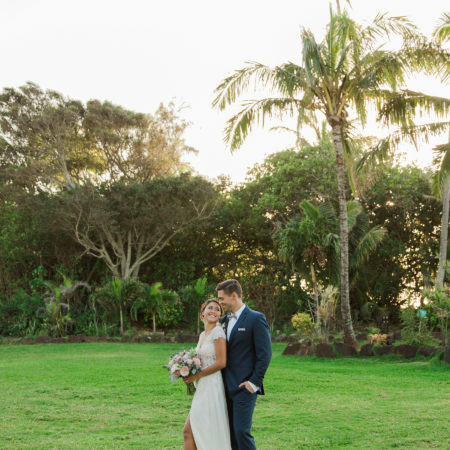 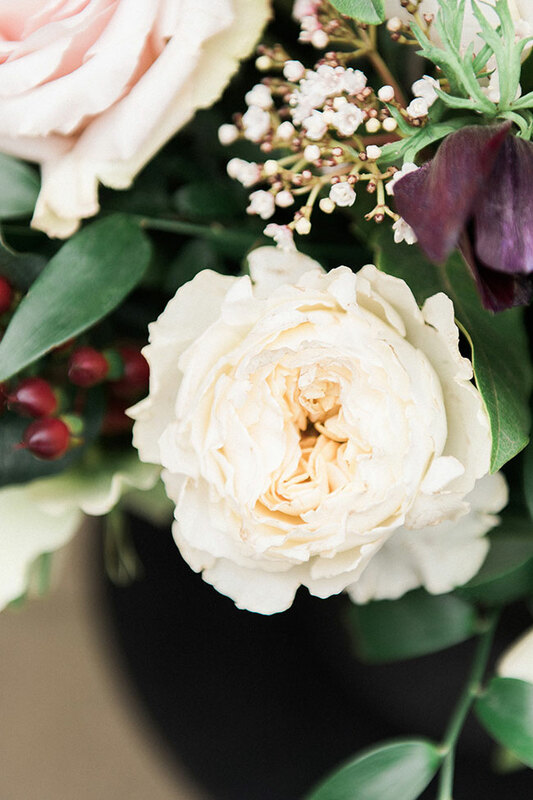 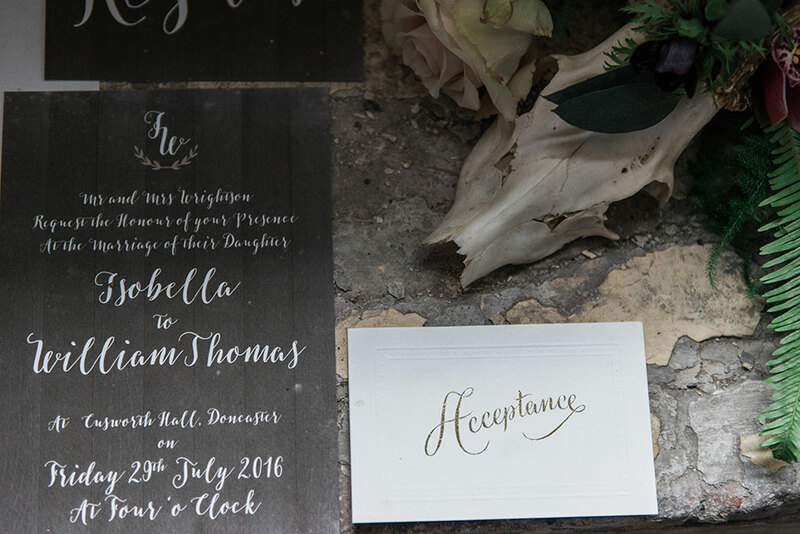 With elegance and sophistication at the heart of each choice, this gothic wedding should serve to inspire those seeking something so much more than a white wedding.